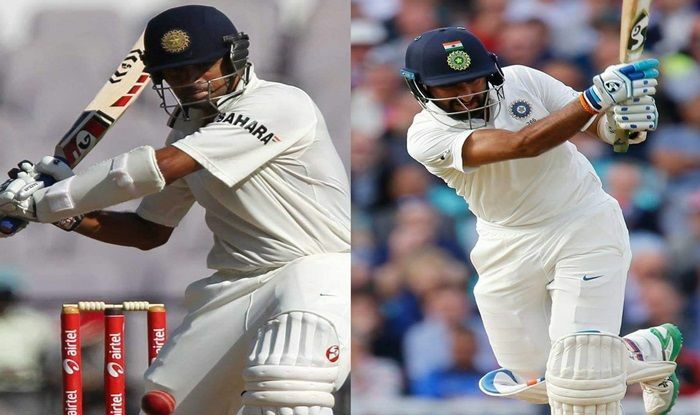 India – Australia vs India 2018, 1st Test: With the exit of legendary – Rahul Dravid, the Indian cricket team was in a desperate need of a perfect replacement who can provide the ideal foil in Test cricket’s most crucial batting position – No. Australia vs India 2018, 1st Test: With the exit of legendary – Rahul Dravid, the Indian cricket team was in a desperate need of a perfect replacement who can provide the ideal foil in Test cricket’s most crucial batting position – No. With wickets falling at the other end, the 30-year old held one end up and battled hard for runs against a dominating pace trio of Mitchell Starc, Josh Hazlewood and Pat Cummins. Pujara’s 16th Test hundred and first in Australia helped India recover to 250/9 at stumps after they had been reduced to 127/6 at one stage. There is an even great coincidence that Pujara reached the milestone of 5K runs (108 innings) in rhe same number of Test innings as compared to his ‘idol’ Dravid. Dravid and Pujara have reached their milestones of 3000 runs, 4000 runs and 5000 runs in Tests in the exact same number of innings.